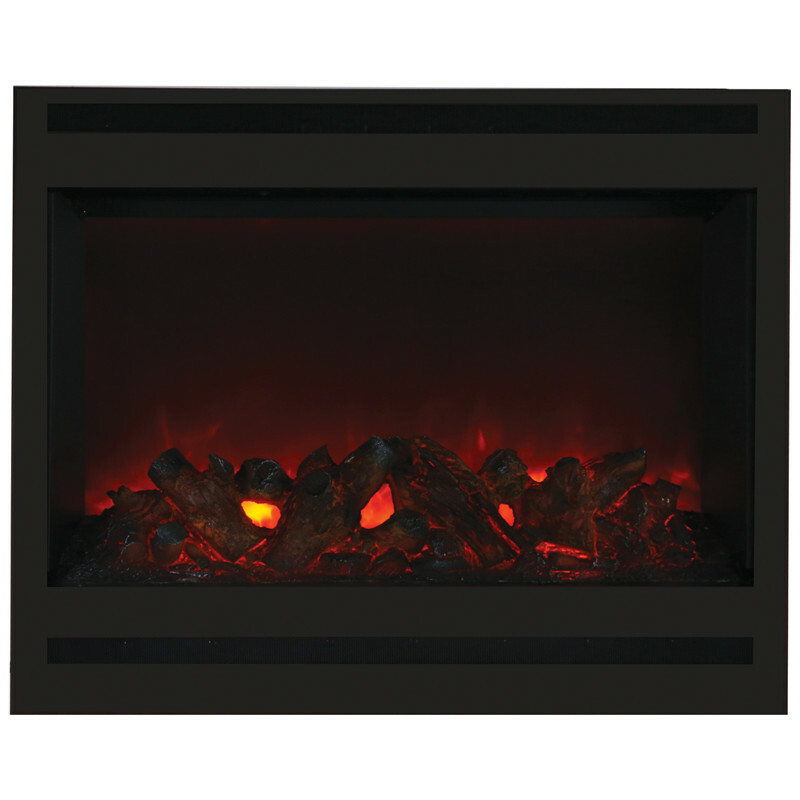 The Amantii 31″ ZECL-31-3228-STL-SQR Squared Electric Fireplace Insert has a high/Low 1500W/750W heater with fan. The new ZECL-31-3228-STL fireplace features an extra deep tray and new steel surround. It comes with deluxe log set installed. Decorate any room with the beautiful and modern ZECL-31-3228-STL-SQR Zero Clearance electric fireplace. Featuring the latest multi-color flame, 3 lighting strips allow for a kaleidoscope of color combinations: red, yellow, orange, blue, purple, rose, violet. The Amantii ZECL-31-3228-STL electric fireplace features an extra deep tray and new steel surround. This fireplace comes with large glass nuggets, clear & blue diamond decorative media and log set. It also features the vibrant and contemporary Fire & Ice flame set, which with just a click of your remote, you can easily change the flame color from blue to purple to violet to orange or yellow. Sure to add an exciting factor to any room.